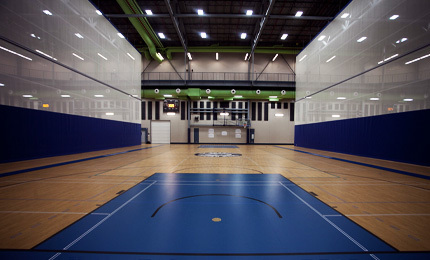 The City of Edmonton is a central booking agent for gymnasiums in all City of Edmonton Recreation Centres, the Royal Alexandra Hospital, and within the Edmonton school system. We offer various services to assist with your gymnasium rental needs. Applications for 2019/2020 bookings in City of Edmonton Recreation Centre Gyms and the Royal Alex Gym are accepted as of September 17, 2019. For annual repeat access to City of Edmonton facility gym rentals please see Annual Allocations Process for gym rentals. We offer seasonal gymnasium rentals in schools within Edmonton city limits through the tenets of the Joint Use Agreement. Rentals are for one-time and ongoing sport and recreation related bookings spanning September to June. Gymnasium rentals are available at participating schools within the Conseil Scolaire du Centre Nord, Edmonton Catholic School Division, Edmonton Public School Board, as well as Aurora Academic Charter School and Suzuki Charter School. Please refer to the Joint Use Agreement to determine if you qualify for School Gym rental access. When you are ready to book, please complete the Gymnasium In-Season Request form to apply. Applications for 2019/2020 bookings in School Gyms will be accepted beginning September 17, 2019. For annual repeat access to school gym rentals please see Annual Allocations Process for gym rentals. We offer access to gymnasiums for sport and recreation related tournaments and special event bookings. Rentals are available September - June/August. For applicants wishing to request special events and tournaments between September 2019 - August 2020, we will be accepting applications from March 18 - April 12, 2019. After we have completed all processing of the allocated applicants and special event and tournament applications, we will begin selling the remaining availability on September 17, 2019. We offer access to an Annual Gymnasium Rental Allocation process for sport and recreation related bookings according to criteria as outlined in the Gymnasium Allocation Users Guide. You will be notified directly by City of Edmonton, in advance, with further application information should you qualify to participate. As such, please ensure all contact information on your gym rentals contract account is kept up to date. 2019/2020 application process will be open March 18 - April 12, 2019. Allocation meetings are scheduled from May 28 - June 8, 2019. The Joint Use School Gymnasium rates below are available for all weekday bookings. For weekend time acquired during the allocation process, these rates will also apply; all weekend time requested starting in September will be charged the Weekend, Tournament and Special Event Rate below. Groups will be required to book a minimum of 3 hours, or adjust their booking to precede or follow an existing booking. Groups may be asked to adjust their booking in order to accommodate staffing at school facilities. Please ensure that you check gymnasium availability before you book.